Incorporated in August 2005, Cardinal Security Services Limited has grown from a local company to a regional business with its corporate headquarters in Lagos and other business units in Kenya, Tanzania, Ghana, Burkina Faso and Senegal. I Drive Smart Limited, Cardinal’s sister company, is an expert driving school designed by professionals with the main objective to provide driving skills to clients in an exceptional manner through evasive and defensive driving courses; hostile environment and anti-ambush techniques; and security convoy driving. To render efficient and affordable security services and solutions to our clients. To work to enable our clients to succeed in a complex or hostile environment. trained in the art of Executive Protection and UK BTEC Level 3 Close Protection Course. The vehicles are equipped with Real Time Vehicle Trackers and radios. Executive protection – We make available on request professional body-guards (CP) who are well trained in Marshall Arts. Our CP teams are trained by a US Security Company in Executive Protection Course for Hostile Environment and UK BTEC Level 3 Close Protection Course. They are constantly trained to keep their expertise at cutting edge with good diplomatic skills and are effective in executing their task. 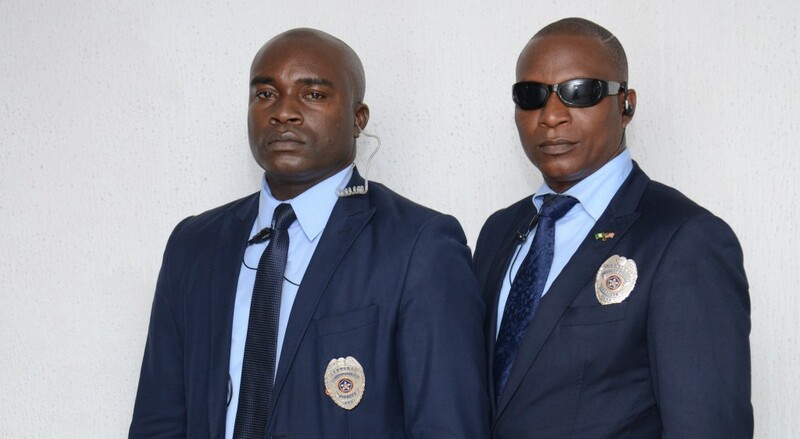 Guard force – We provide trainable individuals who are carefully selected and vetted and have attained necessary levels of education as well as being medically and physically fit as static security guards, on 12-24 hours basis to clients that help protect their people and assets. Such guards are always on uniform and work on shifts so as to provide emergency relief on a rotational basis. Event security – We assist in providing customer friendly event security and crowd management services. Whether a social or corporate event of any size, our security officers are fully trained and prepared to meet any requirement your function may present. Security risk assessment – We strategise on how to manage crisis – identifying risk, containing and reducing effects of crisis and managing crisis in any given situation. We also deal in intelligence gathering reports which we send out to clients on a daily or weekly basis. Cardinal Security’ Online service and text messaging service provides daily weekly and monthly security analysis/updates; City Brief offers an in-depth reference to Nigeria. For longer term assessments and detailed forecasts, clients commission specific reports on a country, region or topic. Our in-house team of analysts is supported by a network of retained correspondents. also provide due diligence checks and vetting for clients. Cardinal provides professional security trainings and education to corporate organizations, executives and NGOs. These trainings are held at agreed locations. The trainings are delivered by qualified Special International and local Instructors who deploy doctrines and training methodology derived from contemporary operational experience. Crisis management – We provide motorized Emergency response services to attend to kidnaps, robbery attacks, social unrest, medical emergencies etc. our Control Centre works 24/7 and receive distress calls on any emergency from our clients and from the alarm system, which they quickly respond to minimize threats. Vehicle tracking – We provide organizations with complete monitoring of their assets by transferring valuable information via Internet, satellite and GSM communication on a 24 hour per day/7 days a week basis with the use of the Vehicle/Materials Tracking Devices. Our real time tracking, monitoring & location capabilities for land, sea and air assets utilize Satellite and GSM communications. It helps deliver measurable business and operational benefit by providing total visibility and control of mobile with a combination of GPS/GPRS/SAT and GSM technology for fleet management purposes, vehicle tracking and personal tracking systems. Our platform is automated to generate reports to make transportation information available to you quickly and easily. These reports can be used as it is, or can be customized to fit your business operations needs. The vehicle monitoring systems is capable of measuring engine and driver performance, troubleshooting problems, and observing how and when your vehicles are being driven. We undertake logistics and fleet management for client vehicles and assets. Our Personnel Tracking Device is a Smartphone tracking that uses 3G and 4G networks to provide travelling executives with reliable, cost-effective tracking solution with panic alarm capability. Silvester is a highly experienced security practitioner who has enjoyed a successful and rewarding 20 years career within the Security Industry. He was the Regional Security Coordinator in Schlumberger with the role of ensuring adequate security for the organisation’s staff and business assets within the region; development of security policies, procedures and plans in consultation with all the business segments; including preparation of country security assessments and advice on local management of security matters. 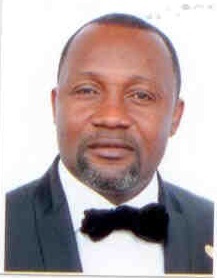 Silvester is a member of the American Society for Industrial Security (ASIS), a qualified Company Security Officer (ISPS – International Ship and Port Security Certification), member Nigerian Institute of Industrial Security (NIIS), as well as Corporate Organization Security Group and a member of Overseas Security Advisory Council (OSAC). He has also studied extensively abroad under SIA, ARC Security Management Training centre in UK. To further boost his Career / knowledge in Security matters, he attended training in Advanced Executive Protection (PSD) – Training Designed for Operating in Hostile Environments in the United States of America. He has also completed a course in Executive Protection & Evasive /Maneuvering Driving in Hostile Environments in the United States of America. awarded the Gold Award for Excellence and Business Prestige in New York in May 2012. The company was also nominated as a finalist for Security Excellent Award 2012 in UK. 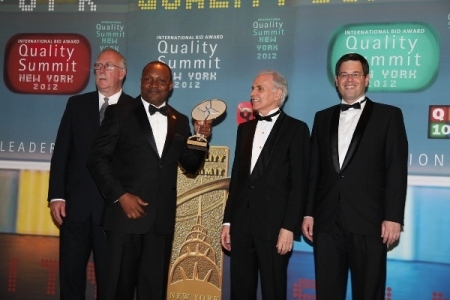 Clearly, distinguishing itself as the only security company in West Africa to receive two international recognition for quality and excellent service delivery in 2012.
leadership skills been able to achieve a lot.